Since there's a GIl-more challenge going on - let's get into some strat-y tones. There's a LOT more in this article than just Gilmore! This article has taught me quite a few things! Thanks @V8 I have bookmarked it and keep going back to. Blocking off a trem by wedging a piece of wood between the block and the back of the spring cavity tends to thicken the midrange and soften the transients for a more compressed tone. Some claim it improves sustain – Clapton is a fan. In contrast, floating the trem tends to open up the sound and allow the treble harmonics to ring a bit clearer. You may also discern a bit more of the Strat’s springy ‘internal reverb’ and you can enhance this effect by removing the spring cover. I would never have imagined that this could contribute to tone. With the mod I am currently busy with I am going to be blocking off the trem, purely in an effort to improve the mids. If you need convincing, consider how the bridge pickup of vintage-style Strat sets usually sounds disproportionately bright compared to the middle and neck. It’s because stock Strat wiring leaves the bridge pickup unconnected to a tone control. While you are changing blocks – or merely changing strings – try Eric Johnson’s trick of removing the paint from the top of the block for direct metal-to-metal contact. He also removes lacquer from the neck pocket and the area beneath the bridge. Small changes that can add dramatic tone differences? wern101 would never have imagined that this could contribute to tone. With the mod I am currently busy with I am going to be blocking off the trem, purely in an effort to improve the mids. It's fairly common to 'hardtail' a strat somehow - either by just setting it up with the trem on the body (it'll dive, but not pull up) or blocking off the trem somehow (I've got a tremelno). Done a few very unscientific tests on hardtails vs floating trem'ed strats and I always prefer the hardtailed ones. Just sounds a bit 'fuller' to me. Oddly enough...strats that have fixed bridges do not sounds like a strat to me - that 'springy reverb' is missing? Perhaps that's just me though. My pickups are soooo microphonic I can hear the springs of the pickup mounts Over time, I found I prefer the lofi nature of this - YMMV! wern101 If you need convincing, consider how the bridge pickup of vintage-style Strat sets usually sounds disproportionately bright compared to the middle and neck. Yeah, a common mod is to make a 'master' tone control for all three pickups, tames the 'ice pick' nature of the bridge pickup. Some prefer it, others not so much. Rory Gallagher's sound was the ice pick nature of the bridge pickup - really cuts through the mix. Dan Platansky has a wah-wah trick - the tone rolled all the way off and then he flicks the selector between the bright bridge pup and the dark neck pup - sounds like a wah (in his hands, anyways...) - ffwd to 12m. I've got mine wired up to a master tone - though, in practice I find I hardly ever roll off the tone when on the bridge pickup. wern101 Small changes that can add dramatic tone differences? I'd also say shielding the guitar if you are not using noise cancelling pickups is a good idea - it's something I've not done...yet. If I was gigging this guitar, I would. Thanks wern101 was meaning to read this and never got round.. you popped it back into my attention. now that I've taken time to read it.. there are lots to consider as always. some things I've know or understood some I didnt..
My strat copy, I've hard tailed by setting the trem on the body.. it just looks more correct to me than the floaty floaty trem.. and I still get the option to dive when the desire arises. what is of particular interest to me at the moment is the spring vs rubber mount..need to do more research..
Uhm...errm... yeah. Not even going to try that. Bliksem. tedibear Didn't know was the mid Pup not been connected to the tone controls.. It's usually the bridge pup that isn't connected to a tone pot. The mid & neck usually have their own individual tone controls. tedibear what is of particular interest to me at the moment is the spring vs rubber mount.. Some peeps complain about hearing the noise of the springs (I guess, if pups are microphonic - which many vintage and cheap ones are). Others prefer the greater control over the adjustment with rubber tubes instead of springs. When I was trying to eliminate any extraneous noise in my midi guitar attempts - pickup springs were one potential source of 'crosstalk'. But if you know someone in the rubber industry - get some surgical grade tubing - AFAIK, it's the same thing. V8 It's usually the bridge pup that isn't connected to a tone pot. The mid & neck usually have their own individual tone controls. sorry misread.... its been one of those days.. I've had this https://raru.co.za/musical-instruments/6748941-allparts-electric-guitar-300mm-silicone-surgical-tubing-for-pickup-spring-replacement-frosted-white in my shopping cart waiting to click for awhile now for my project... I think its slightly better value than the pre-cut ones..
thanks for your breakdown.. its a bit clearer than the article.. i.e I understand better what they where trying to say. tedibear sorry misread.... its been one of those days..
tedibear 've had this https://raru.co.za/musical-instruments/6748941-allparts-electric-guitar-300mm-silicone-surgical-tubing-for-pickup-spring-replacement-frosted-white in my shopping cart waiting to click for awhile now for my project... I think its slightly better value than the pre-cut ones..
tedibear thanks for your breakdown.. its a bit clearer than the article.. i.e I understand better what they where trying to say. Ahh, I try to add a little value . That is a rather comprehensive article, it's tough to get into that detail and still cover everything. One thing for @wern101 to think about is when you go for a master tone, it leaves a pot free to do something with - I've got a blend wired up to the neck pup. Like @Johanp posted - literally endless possibilities. The most useful mods that I have tried is to line all the cavities with copper tape (with conductive adhesive) as well as the back of the scratchplate as the aluminium foil just does not do it for me. You could also use conductive paint from RS Components it works just as well but you run the risk of getting it on the guitar finish if you are not careful. I then also used a small holesaw to cut a disc from pc board that is the same size as the back of a pot. I then glued the disc onto the back of the pot and soldered all the ground wires to this pc board disc using it as a star ground. they were a lot cheaper not too long ago put I suppose this is due to the exchange rate. Once you figure out how this switch works many options are available without changing or drilling holes in the pickguard for extra switches etc. wow guys, thanks a bunch for making such an interesting/resourceful thread. kudos. A HSS strat is never a bad idea. I've very fond memories of my HSS Yahama Pacifica. Don't underestimate the power of the 5way (let alone a superswitch). Getting position 4 (middle+neck) is a thing. 3 mini Humbuckers with coil splitting \ phase reversing switches .. with a dual tone wiring mod and a jaguar style rhythm/lead circuit. but on a serious note..It sounds like you been overwhelmed by choices.. what are you actually looking to get out of your build? do you want to go more LP or more strat sounding? Look at all that gear!!! O.M.W! So many amps! Looks like a bloody music shop. I WANT!!! Such a great video, and so informative. Thanks! 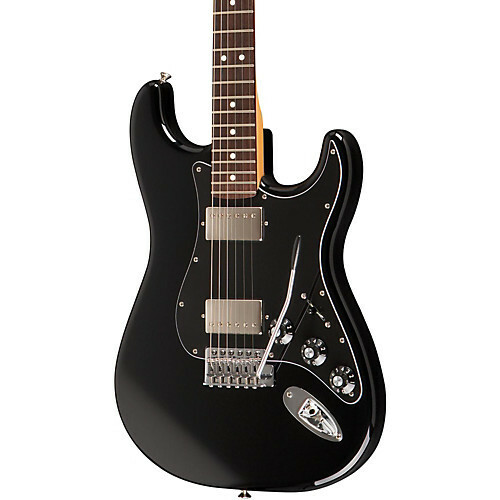 V8 A HSS strat is never a bad idea. Don't you tell me what to do! tedibear do you want to go more LP or more strat sounding? I think more LP. That said, I don't think I have ever had proper Strat sound anyway. I pretty much know what I want to do, just frustrated because I wanted to do it yesterday already. All this extra info on wiring and tone and pups and switches....oi. So much to learn. Thing is also, the price for a set up decent pups is ridiculous! Especially single coils. I'll be spending more on the guitar than it is worth. Not sure how far I want to push the budget. @tedibear & @wern101 - Bwahaha, you two are cracking me up! wern101 Thing is also, the price for a set up decent pups is ridiculous! Especially single coils. Yeaahhhh...they are a bit silly. Though, you can get wilkinson's from blackbeard's den @ R175/ea. If they are anything like the one's I've heard, they are usable. 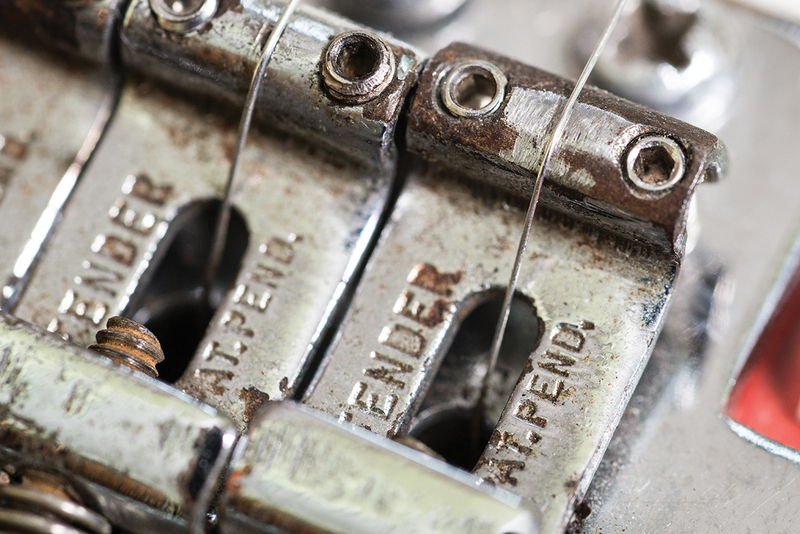 Humbuckers are easier to find 2nd hand - everyone upgrade's epi's - grab a set of those for R5-600. Avoid stock Ibby's unless you are going high gain and non-branded Cort pups at any price - they are terrible. And -at worst- there is belcat - cheap but serviceable. Look at all that gear!!! O.M.W! So many amps! Looks like a bloody music shop. It literally is a music store - his dad is a long time trader and he is too in the biz. If you ever check out Norm's Fine Guitars on youtube, you'll see Joe regularly featured.